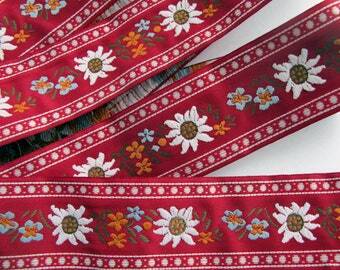 ZIGGURAT Jacquard trim in in tan, burgundy, turquoise on off white. 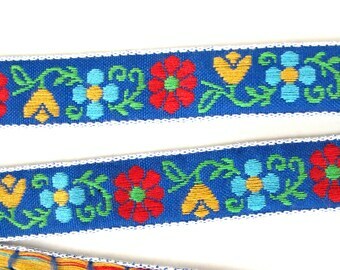 White edges. 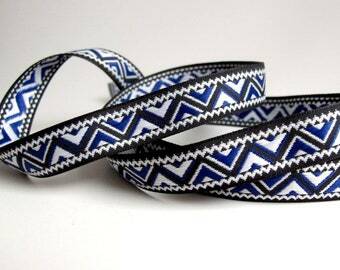 A geometric zig zag trim. 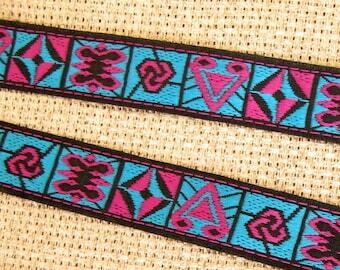 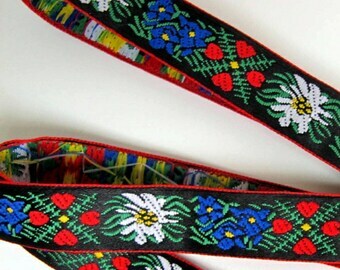 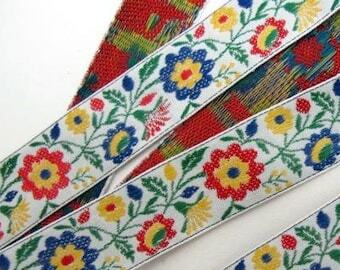 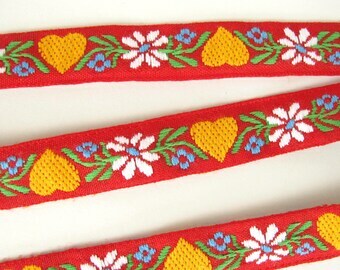 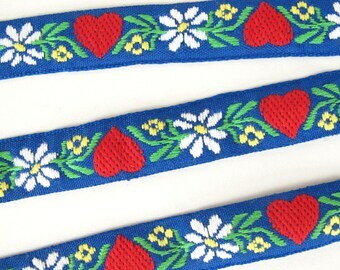 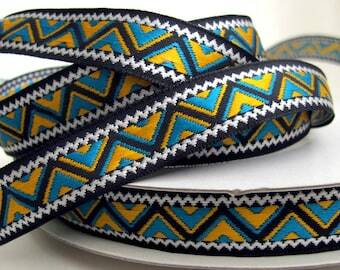 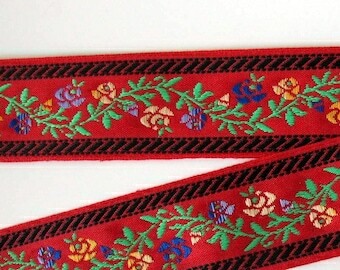 Offered here are 3 continuous yards of a distinctive geometric pattern Jacquard ribbon. 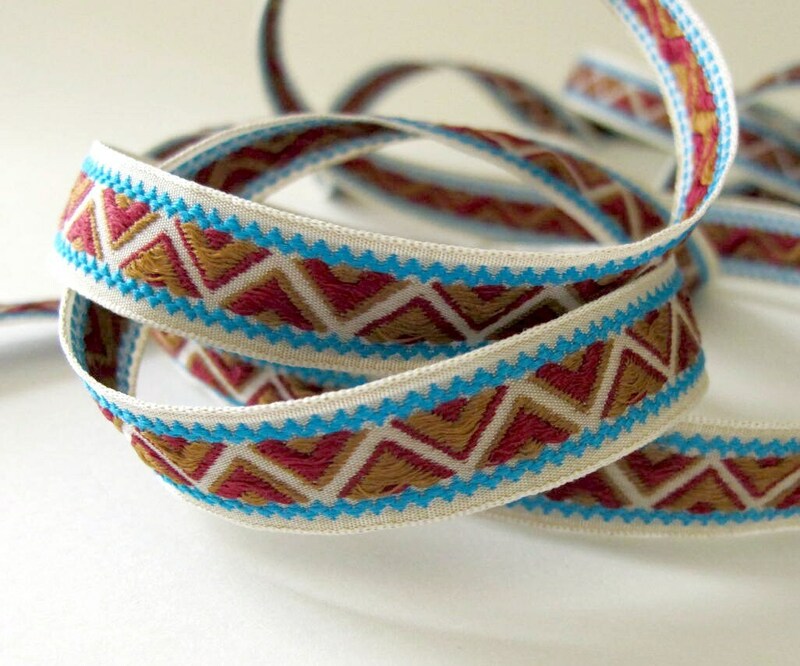 in TAN, BURGUNDY, TURQUOIAE on OFF-WHITE with WHITE finished woven edges.